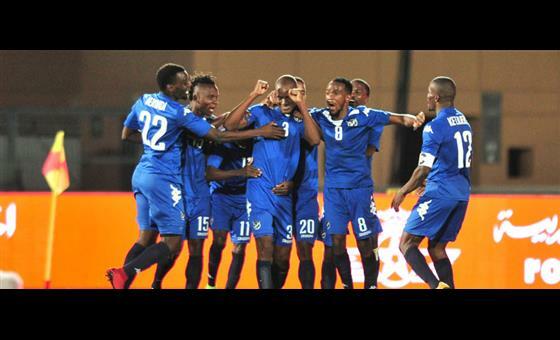 Debutants Namibia produced the biggest shock of the ongoing 2018 African Nations Championship (CHAN) following their last gasp winner over their more fancied opponents Ivory Coast. Defender Vetunuavi Hambira scored the only goal of the game in the dying moments of the game to give his side a 1-0 win over Ivory Coast in their Group B opener. In the other Group B game, Zambia saw off Uganda easily with a 3-1 win courtesy goals from Lazarous Kambole, Augustine Mulenga and Fakson Kapumbu with Derrick Nsibambi getting what proved to be the consolation goal for the Cranes. Sudan had earlier beaten Guinea 2-1 in a Group A clash through a Malik Bakhit equaliser after forward Sekou Camara had cancelled out Sudan star Omer Koko’s opener. Sudan move into 2nd spot behind hosts Morocco on the table after the North Africans thrashed Mauritania 4-0 on Matchday 1 (Saturday night) through goals from Ayoub El Kaabi (2), Ismail Haddad, and Achraf Bencharki.